Welcome to Montgomery County Medical Associates, Ltd. We are pleased that you are interested in our practice to coordinate your total medical care. 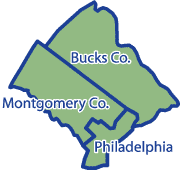 We serve patients in the Philadelphia, Montgomery and Bucks County areas. We are a full-service Internal Medicine Practice of Board Certified dedicated physicians and nurse practitioners. We work together to service the medical needs and provide outstanding care to individuals age 16* through geriatrics. Our physicians are on staff at Holy Redeemer Hospital specializing in Critical Care Management and a physician is on call, after hours, 7 days a week. We welcome your phone calls and encourage you to contact the office should you have any questions or concerns. Our staff will handle your call in a professional and timely manner. *Refer to our Insurance Page for details.